Want to be notified of new releases in algolia/sup3rS3cretMes5age? 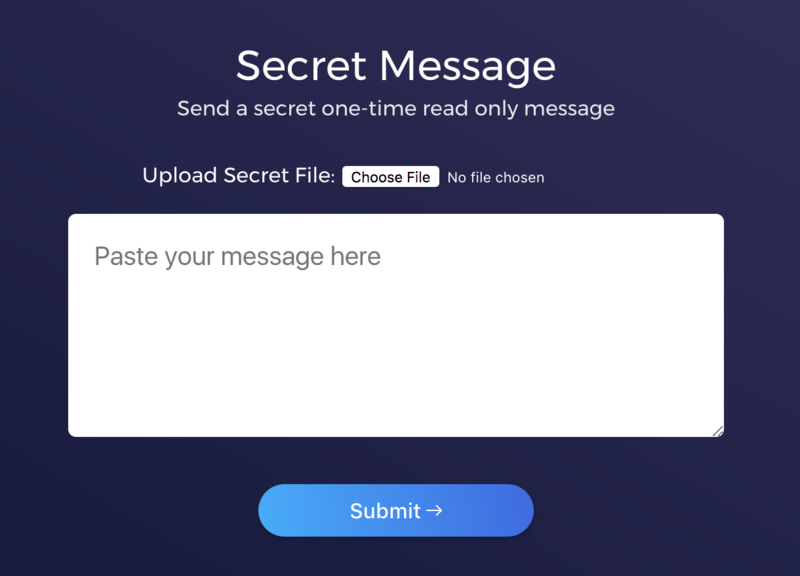 A simple, secure self-destructing message service, using HashiCorp Vault product as a backend. Read more about the reasoning behind this project in the relevant blog post. Now using Let's Encrypt for simple and free SSL certs! Using lets-encrypt-nginx-proxy-companion you can now get a free (and valid) SSL cert when running this project on a live server. Thanks to evertramos's docker-compose-letsencrypt-nginx-proxy-companion for a great working example. You should always run this behind SSL/TLS; otherwise, a message will be sent unencrypted!